Nestled right in our backyard lays one of Canada’s most exciting wine regions – Prince Edward County. Filled with award winning wineries producing world class Pinot Noir, Chardonnay and Riesling (among others), this stunning area offers high quality wines to please every palette and a prime example is the ever-so successful Rosehall Run Vineyard. 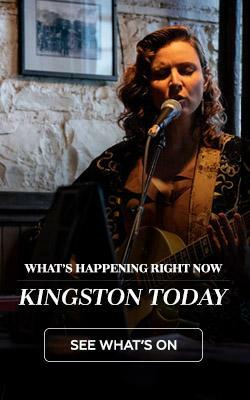 But what transpires when you bring the taste of the County to the city of Kingston? Ladies and gentleman, we have our very first Winemaker’s Benefit Dinner Series hosted at the Delta Kingston Waterfront Hotel in support of the United Way KFLA. Acclaimed winemaker Dan Sullivan of Rosehall Run Vineyards and Executive Chef Brent McAllister of AquaTerra came together this past week to deliver a genuine dining experience with a multi-course dinner showcasing locally sourced artisanal ingredients – with carefully selected wine pairings to compliment each course. As two talented success stories in their own fields, Chef McAllister’s menu combined with Sullivan’s wine expertise set the bar pretty high for future dinners. The intimate evening filled with laughter commenced at The Vu adjacent to AquaTerra, where guests were greeted with charcuterie boards complemented with a signature drink of the night – lemon meringue pie cocktail perfectly sweet with a pop of lemony tartness, but the true highlights included a 2014 ‘Defiant’ Pinot Noir with terrific vibrancy and 2014 ‘Liberated’ Chardonnay – both delightful pairings to start the evening. 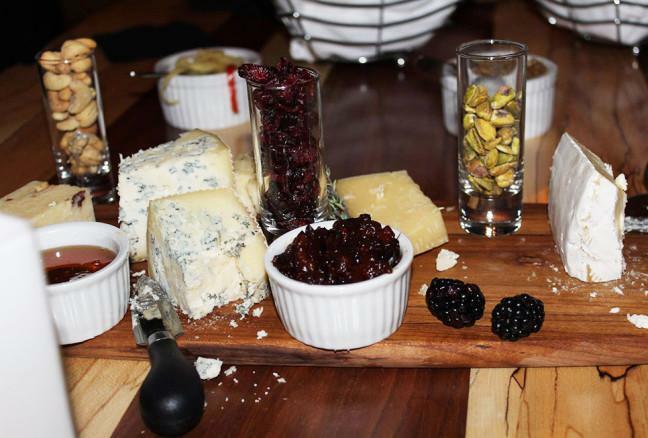 Charcuterie boards satisfied guests with local delights. Once all the guests had arrived and mingled, we migrated up the elevator to the beautifully decorated hall, which served as a spectacular backdrop for overlooking Lake Ontario. Does it get any better than that? It sure does! Dishes served were truly delectable as we experienced culinary perfection with one-of-a-kind meals. From start to finish, every detail was accounted for and each bite and sip of wine was a taste of local goodness and passion. 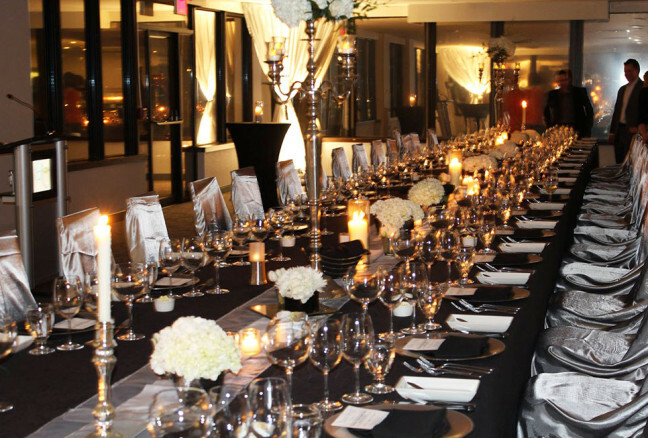 An elegant affair indeed at the Delta Waterfront Kingston. Chef McAllister and his team were nothing but excellent, bringing forth beautifully locally inspired canvases of plates. The first course consisted of a light Norwegian cod with yuzu daikon radish salad, chili scented soy and pickled scallion elegantly paired with a 2014 ‘Indigo’ Sparkling Wine, which was fun and flavourful. The foie gras torchon simply melted in your mouth with the luscious accompaniment of braised apples, brioche toast and the gravenstein apple gastrique certainly heightened the flavour with hints of sweetness which paired quite nice with the 2014 Riesling ‘The Righteous Dude’ due to its vibrant and refreshing acidity. 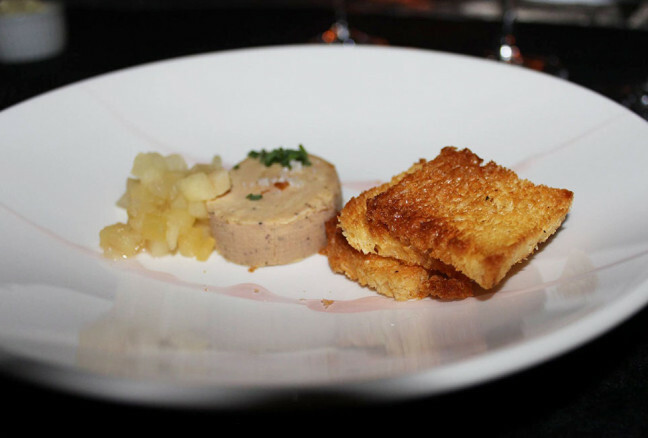 Foie gras torchon, indigo braised apples, brioche toast, gravenstein apple gastrique paired with a 2014 Riesling ‘The Righteous Dude’ Old Vines Single Vyd. Of the lobster raviolo, all that could be said – “explosion of smoke” with a touch of luxurious richness thanks to the bacon jam, lobster cream and chive oil. In my opinion, the showstopper of the evening was the succulent pistachio crusted Ontario lamb loin with shimeji mushroom, lamb jus, braised leek with confit fingerlings – how divine! It was smooth and quite nice filled with richness and depth – there’s a reason why you have a chef prepare a dish of this caliber. The 2012 Pinot Noir ‘JCR’ pairing certainly showcased the terroir and personality of the County. 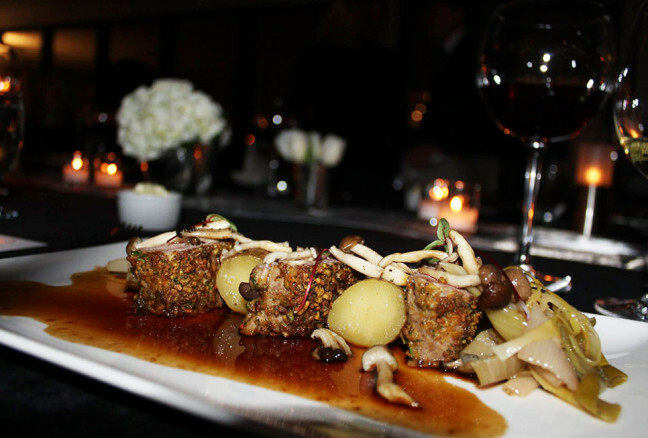 Pistachio crusted Ontario lamb loin with shimeji mushroom, lamb jus, braised leek with confit fingerlings paired with a 2012 Pinot Noir ‘JCR’ Estate Grown. Then there was dessert – “Oh my” is all that could be said after the first wave of bites followed by silence. 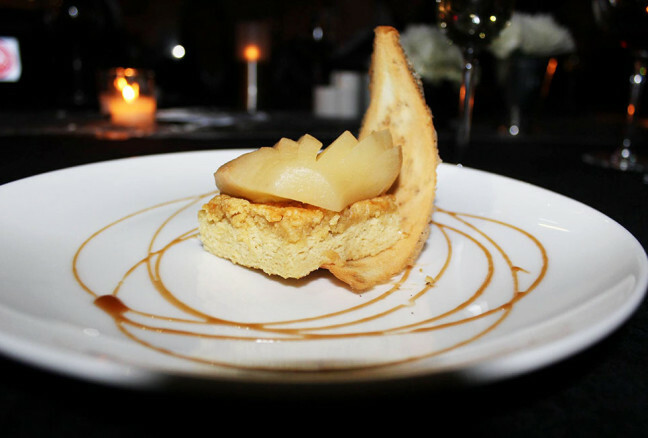 Served a roasted pear with walnut tuile, mascarpone mousse and maple genoise – every bite was worth the calories. Paired with a 2013 ‘The Finisher’ Liquoreux dessert wine for a great finish, guests were coveting seconds all around. Dessert | Roasted pear with walnut tuile, mascarpone mousse and maple genoise paired with a 2013 ‘The Finisher’ Liquoreux Vin De Dessert Estate Grown. On a whole, the Rosehall Run wine pairings were full of flavour and personality each with their own story that was completed with Chef McAllister’s creations. Taste and toast to the County and Kingston all in the name of a good cause! See you at the next event on April 29 with Stratus Winery! Reserve your ticket now! Advanced ticket purchase required. Limited Availability.